Cristy is a Luxury Real Estate Agent who specializes in the Reno, Sparks, and Lake Tahoe areas. Whether buying or selling, Cristy promises to provide unparalleled representation in all of your Real Estate transactions. The Real Estate industry is becoming more sophisticated and challenging every day, therefore you need professionals who understand the industry and are positioned to stay ahead of the game. Cristy and her Team are dedicated to providing their clients with exceptional service before, during, and after the Real Estate transaction. They take their clients' interests very seriously and go the extra mile to help you achieve your goals. You will find that they understand the intricacies of the Real Estate market, which is imperative in client representation and critical to the success of each transaction. A genuine concern for each client, combined with their extensive knowledge of the market, assures that you will have the best possible experience in all of your Real Estate transactions. Cristy and The Silverman Team are truly amazing real estate professionals. Cristy knows the Reno market inside and out, and is a consummate professional when it comes to market pricing, availability and timing. Her values and work ethic are second to none! Looking for the perfect home and selling your primary residence can be a stressful process. Cristy takes all of the stress out, and is always available to answer any questions and ease any fears. When it comes to listing a home, the Silverman Team stands ready to make sure that your home shows and hits the target market. Without a doubt, whether buying or selling, I highly recommend Cristy and The Silverman Team. Cristy was highly recommended by a trusted friend and financial planner and we made the right decision in choosing her services to market and sell our house. Cristy is very professional and competent. In addition she is a fiduciary of the highest quality and represented us totally on all issues. Based on her thorough, up-to- date knowledge of the market and her professional judgment, she recommended a listing price that was successful and timely. We highly recommend Cristy! The most professional realtor I have been lucky enough to work with! Cristy handled the sale of a family property in Reno. She properly assessed market conditions and the property’s characteristics, helping us create a successful marketing plan. Because no one in the family lives in the area, she coordinated work done by painters, floor finishers, and others, to improve the property’s appearance. She always got input before proceeding, but gave us solid options and alternatives. She has a stable of terrific craftsmen who respond to her requests quickly. She also handled some details that arose during the sale very effectively, working hard to keep the sale on track. I endorse Cristy without any reservations. We felt lucky to have her help. Cristy Silverman is a consummate professional. She worked very hard to negotiate a better result for us than we had anticipated. Moreover, she gave us excellent advice when we ran into some hiccups in the transaction, using her extensive experience and knowledge of the local market. Cristy always kept us informed, explained everything along the way, and answered all our questions quickly and succinctly. We couldn't have been in better hands. I have been buying and selling homes for the past 30 plus years in Southern California but it wasn’t until I had the privilege of working with Cristy Silverman during my relocation to Reno that I experienced excellence in the industry. Hands down Cristy’s professionalism, knowledge and care are unparalleled. 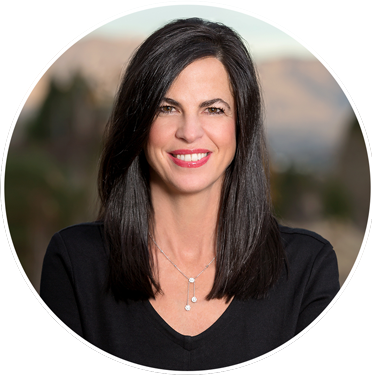 It was no surprise to me when I read that based on her production, she was recognized and honored with an Eagle Summit Award for being one of the top 300 Keller Williams agents in the entire southwest region of the Unites States. We had the pleasure of working with Cristy Silverman, of The Silverman Team. She listed and sold our home which was somewhat of a unique property. From the moment we contacted Cristy regarding listing our home to the day we moved, The Silverman Team exceeded our expectations. They provided us detailed, accurate information regarding sales in our area, what to expect during the selling process, and guided us in finding the right listing price. We found Cristy to be highly professional, personable, well informed, flexible, responsive and honest. Cristy Silverman has been my Realtor and confidant for many years. I have bought and sold property through Cristy and can honestly say there is nobody I know that has higher ethical standards than her. She is all about honesty, disclosure, and protection of her clients both as a buyers and sellers. She is always thinking of you and constantly in touch. She is highly knowledgeable of the Northern Nevada areas and continues to be on top of markets and variations, she knows financing, and has many contacts when it comes to contractors to do inspections on properties. When it comes to “leaving no stone unturned” when buying a property, Cristy goes overboard but its all about protection and knowing what you’re getting for your money. She is one of those people that you immediately feel safe with when it comes to taking care of you. I recommend her to all my friends as I know they will never be disappointed and recommend her to anybody looking to buy or sell.